Member of Kpop boy band "Highlight". Black swan Sep 19 2018 11:04 am Very talented and Handsome especially when he smile he is like an angel ?? I have become unconditionally fond of him!!?? Chris Aug 14 2018 8:28 pm He is a mixture of Lee Je Hoon and Kim Young Kwan! Beca Aug 05 2018 10:19 am This baby is so talented and beautiful!!!! ??? Raine Nov 09 2017 10:30 pm I watched 20 years old series and in an instant I became a fan.. I love your smile.. a smile that makes anyone's heart flutter..
Wayer Oct 20 2017 6:47 am Wow i did not know that he is an idol... highlight @ beast even ??? hwaiting kikwang. He is good in Circle. Chaimoon Jun 28 2017 8:29 am Caught up with the drama at the later episodes but I found it interesting. Good job to the actors, writers, directors, staff and all those involved in this drama. I look forward to your next project. chrisanicha May 28 2017 5:52 am I wonder why he looks so cute in "circle"... he is an idol in reality! I didnt have thought of it. He act good. tp Jun 23 2016 8:14 am An amazing young actor whose future in acting is certainly very promising! Truly enjoy you in Monster. You're the BEST!!!!!! Angeline Jun 20 2016 10:18 pm I'm not a fan of Beast, and I only know Yeseob and Gi-kwang's names. I still can recognize the members though. I was really surprised to see him in Monster, I was just curious after reading the synopsis, and bamm I was I have this pretty face somewhere. Great acting I was deeply moved and impressed, I stopped watching at episode 4, but Gi-kwang was awesome in it! fana May 15 2016 6:22 am Gikwang's acting in Monster is highly commendable. I hope producers would recognize this and give him a lot of acting projects. Spicey May 03 2016 8:04 pm This guy's lips are everything!! Angie Apr 09 2016 1:20 pm Greatest actor in Monster ! Also truly beautiful singer/dancer!! I want to see you in many kdrama . Wish you all the best ! AA Feb 03 2016 11:59 am Your biggest fan!!!! Mary Jun 25 2015 11:03 am Oppa I was thinking if I payed cube entertainment 1000$ dollars would they let me go on a date with you haha I know pretty stupid but I just love you that much ! Hope to see you in the new drama please try focusing on acting just a little bit more like dongjoon because I'm afraid when you grow older then your youth age you won't have any job today and that's bad for your health. I love you so much and one day I really want to meet you but first I need to grow up (15) and turn 20 or something you'll be 30 but haha I'll still be your biggest fan in this world . kaii May 11 2015 9:00 am Oppa the girl you were partnered up with in ur drama "20's" is so lucky to have kissed and huddged you multiple times! And who knows how many times you've taped those scenes to get them righf! Im gonna be waiting for ur another drama! Please make it have longer episodes! hyesuklim Jun 11 2014 2:09 am @Bao Lee ki kwang or Lee gi kwang it's the same. K and G in korean is just the same,that's what i know. Bao Jun 03 2014 11:45 am I thought his name was Lee Ki Kwang not Lee Gi Kwang . He was in the drama 20's. miriam Apr 02 2014 8:05 pm this needs to be updated, lol the AJ photo is still up! 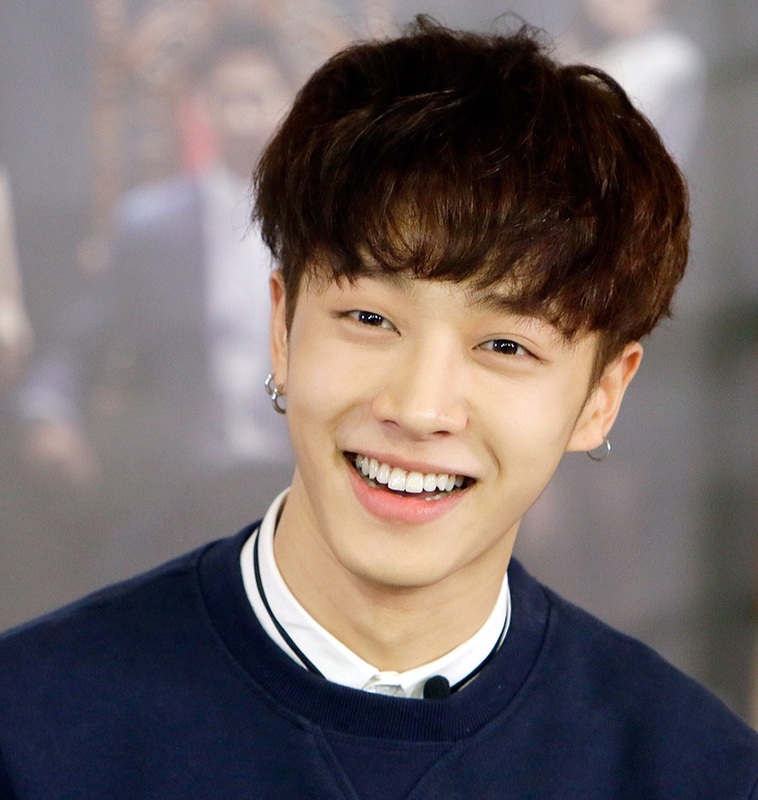 But you were my first bias Gikwang, and to this day you still are, I thought I'd leave you but I still haven't...the Beast & B2uty love lasts a lifetime. f6ome Feb 10 2014 9:37 am Why haven't mentioned the "20's" Mini drama ? apol Jan 01 2014 9:28 am where can we watch "20's Twenty years old"?? sissyn maru Oct 20 2012 8:30 am Aaah. he's the guy in Happy Together (forgot which episode) that said "I was in a diet because i don'y have double eyelids"!!! My GOD. you look great (and thin) already... You'll need so much energy as a member of Beast..
Mimi Kim Apr 28 2012 4:39 pm Oppa KWANGIE SARANGHAE!! aoo Dec 12 2011 12:33 am mr.simple hwaiting! nadya Oct 24 2011 6:44 am when he'll be the main character in his drama ? Bella Mit-Girl Sep 03 2011 2:20 am Oppa ,, you are the best ! jnny Feb 08 2011 12:26 am i love u....oppa.